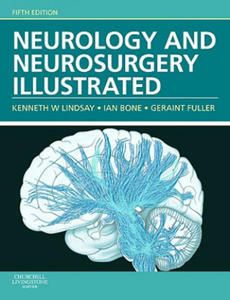 New edition of a highly successful illustrated guide to neurology and neurosurgery for medical students and junior doctors. Updated and revised in all areas where there have been developments in understanding of neurological disease and in neurological and neurosurgical management. This revision has also incorporated current guidelines, particularly recommendations from National Institute for Health and Clinical Excellence. "This book really is a complete primer on the head injured patient. Without a map such as the one this book metaphorically provides, the voyage to mastery can be hazardous for both practitioner and patient. "- Journal of the American Medical Association Neurotrauma and Critical Care of the Brain, 2nd edition by renowned neurosurgeons Jack Jallo and Christopher Loftus incorporates salient components of the highly praised first edition. The updated text reflects cutting-edge discussion on traumatic brain injury management in a neurocritical care setting. Contributions from top experts in neurosurgery, neurology, critical care, cardiac and pulmonary care, and trauma surgery provide a concise review of a complex and evolving field. The book lays a solid foundation with discussion of TBI classification, pathophysiology, key blood biomarkers, noninvasive neuromonitoring in severe TBI patients, multimodality monitoring in neurocritical care, and brain imaging modalities. From the prehospital setting to intensive care, top experts share clinical pearls and core guidelines on the management of mild, moderate, and severe TBI and complications. Chapters new to this edition include concomitant injuries, orbital/facial fractures, vascular injuries, spine fractures, autonomic dysfunction, and temperature management. Key Highlights Specialized topics include wartime penetrating injuries, cardiovascular complications of TBI, venous thromboembolism prophylaxis, ethical considerations, TBI costs in the U.S. and the financial return on helmets Management of pediatric brain injuries in the NICU with illustrative cases Nearly 200 high quality illustrations facilitate understanding of complex anatomy and techniques Summary tables provide a handy overview of injury type, causes, characteristics, and recommended imaging modalities This remarkable resource is essential reading for neurosurgeons, neurologists, trauma physicians, critical care and rehabilitation medicine specialists, and residents in these specialties. Paired with Neurotrauma and Critical Care of the Spine, 2nd edition, this dynamic duo is the most up-to-date neurocritical care reference available today. 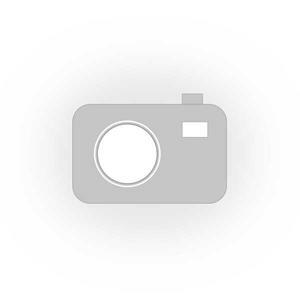 Jack Jallo, MD, PhD, is Professor and Vice Chair for Academic Services, Director, Division of Neurotrauma and Critical Care, Department of Neurological Surgery, Thomas Jefferson University, Philadelphia, Pennsylvania, USA. Christopher M. Loftus, MD, is Professor of Neurosurgery, Temple University Lewis Katz School of Medicine, Philadelphia, Pennsylvania, USA. An award-winning international medical and scientific publisher, Thieme has demonstrated its commitment to the highest standard of quality in the state-of-the-art content and presentation of all its products. Founded in 1886, the Thieme name has become synonymous with high quality and excellence in online and print publishing. This updated, revised and expanded fifth edition of the market-leading clinical guide on stroke covers causes, prevention, clinical features, evaluation and management in a comprehensive yet accessible manner. While it retains the uniform organization, accessible style and patient-oriented focus of previous editions, its scope has been extended to cover the most recent research, providing a fully up-to-date account of the features of cerebrovascular disease, stroke syndromes, complications, and recovery and rehabilitation. Joined by an international team of experts in the field, Caplan offers a widened coverage of each chapter topic, illustrated by using a large number of real-world clinical examples. Not previously included, this new edition now also contains a chapter on the genetics of stroke. Generously illustrated by figures of anatomy and pathology and brain and vascular imaging, this is a must-have for medical specialists and consultants, as well as trainees, in neurology, stroke medicine, internal medicine and neurorehabilitation.